The Apple devices were limited from USB connectivity so far and this created problems to the users when they wanted to transfer data fast and securely without using internet between their devices. 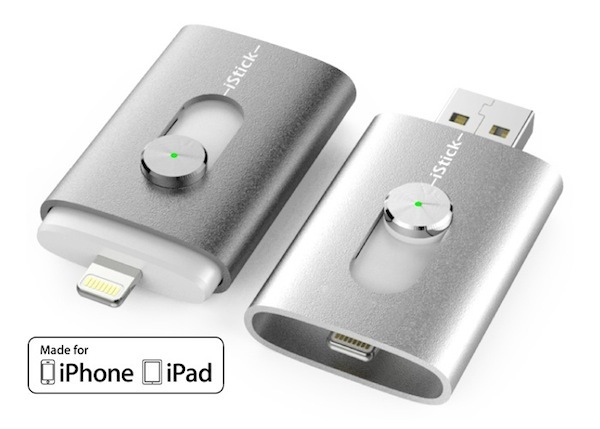 The iStick team puts an end to this by allowing you to move your data fast and securely between computers and your iOS mobile devices (such as iPhones, iPads and iPod touches) without the need of any wireless connection and internet by introducing the iStich USB drive with lightning connectivity. If everything goes well, iStick will be launched between August and September 2014 at $129 for the 8gb model, $169 for the 16gb, $199 for the 32gb, $299 for the 64gb and finally $399 for the 128gb. Is iStick something that you were missing from your iOS device?